The Newly renovated Days Inn Columbus Georgia is located in North Columbus, Exit 6 and the closest Days Inn to Fort Benning. Our new Registration building opened in May of May of 2009. Our rooms have been updated with a new color scheme, new bedding and new carpeting. Days Inn Columbus is just 4 miles from Fort Benning, within minutes to local Shopping at the Peachtree Mall or the Columbus Park Crossing Outdoor Mall. Our property is the closest Days Inn to Columbus State University and the Columbus Airport. Other area attractions in the Columbus area include Coca Cola Space Science Center, Columbus Museum, Wild Animal Safari and many more cultural and historical events. 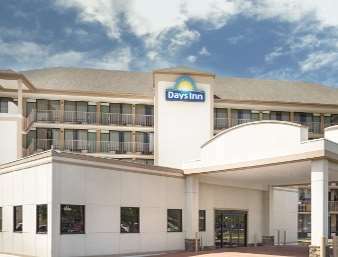 The Days Inn Columbus provides FREE Deluxe Continental Breakfast with HOT items daily from 6-9am, FREE High Speed Wireless Internet access in every room as well as the public areas, On Site Coin Operated Laundry, FREE Parking for larger vehicles.No trucks. Promises over 10,000 marvels from around the world, including the world's largest gallstone. There's a small walk-in museum, and a separate drive-thru section where artifacts are displayed inside shipping containers with cut-out windows.